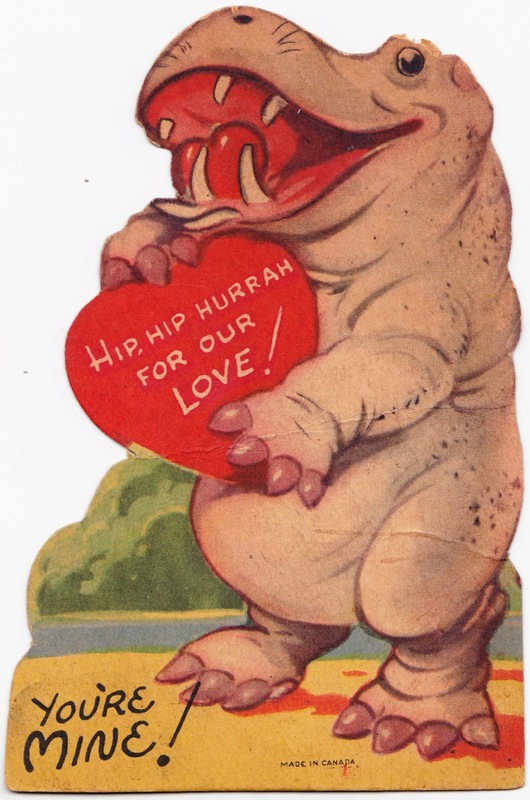 I have a bevy of vintage Valentine's Day cards that I'll be posting throughout the week. First up are these three animal-themed cards, featuring puppies, a cat and a hippopotamus standing upright. 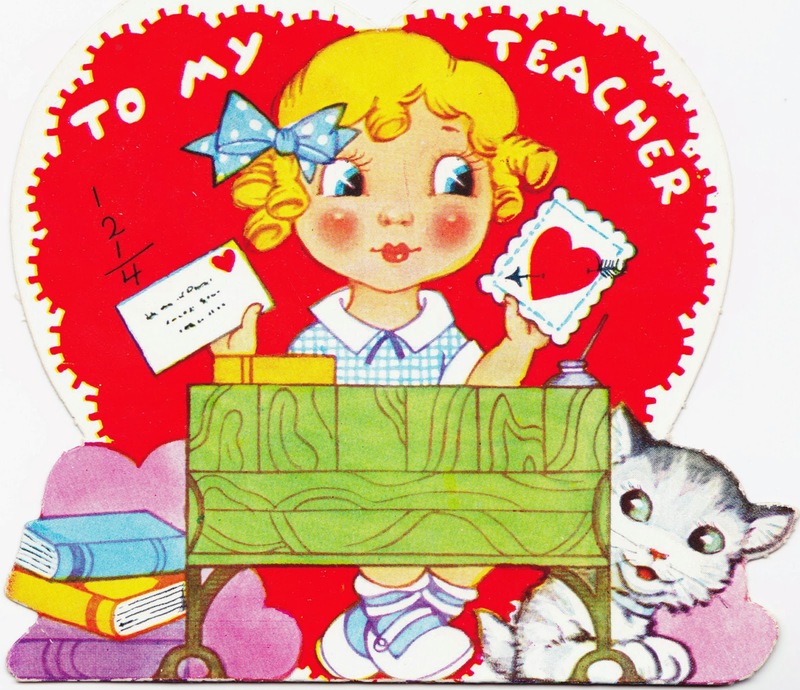 Above: An undated A-MERI-CARD, which was made in the United States. 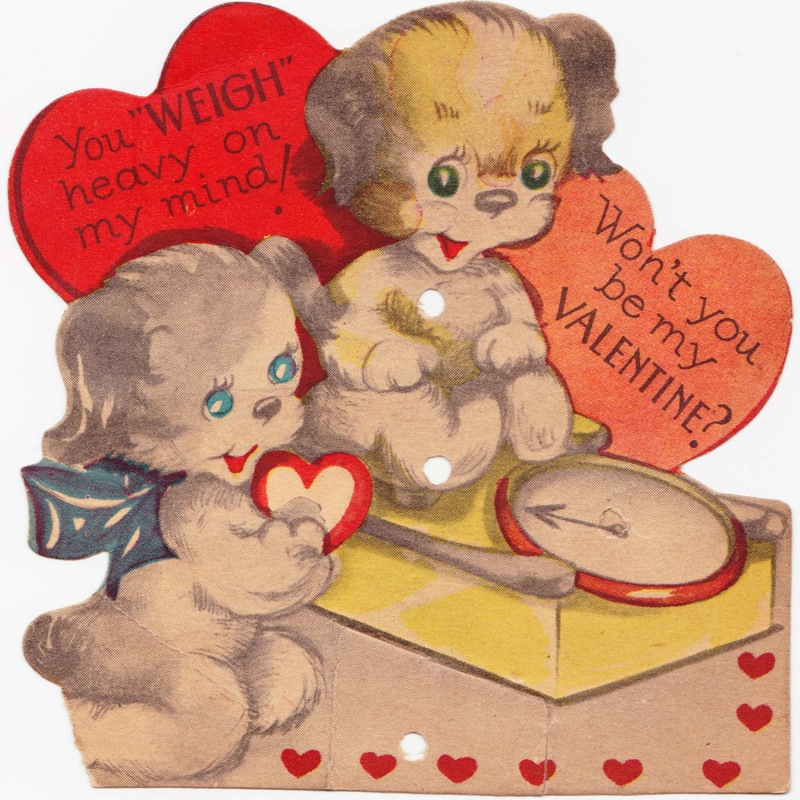 Above: This card was written to Mabel E. Spotts, from Robert. Above: This card was made in Canada. It was given to John Wiser by John Clark.